Голи: Габелок (52), Шарпар (62, пен. ), Карека (71) - Сергійчук (2, 42), Хльобас (14). Гра з чернігівською «Десною» 23 квітня о 19:30 на стадіоні «Ворскла» ім. О. Бутовського. Analyzing the start-up composition of "white-green", you can see how many permutations Vitaliy Kosovsky made at once. First of all, we note, finally, the return of Captain Vladimir Chesnakov. The teams started at an average pace. For the first half an hour the game of real threats at both gates almost did not occur. At the 32nd and 33rd minutes, first Karek, and then Sharpar had the opportunity to take the gate, and in the first case, the Brazilian ahead of the defender, knocking out the ball on the corner, and Vyacheslav did not have a half-turn, to successfully break through the goal after filing with corner from Sakiv. 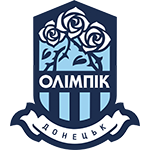 During the break, Poltava players often visited half of the team's squad Dmitry Mikhailenko. 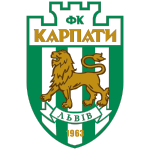 Saky and Karek, their activity in the immediate vicinity of the gate of the opponents did not allow the owners to drown. Kuzik and Chichikov were noticeable in front of the "Dnipro-1". Gablock, Carreca, Cane and Sklyar broke the attack on the 64th minute, and the last kick went far beyond the "frame". 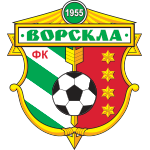 All Vorskla hopes were melting for about five minutes when Stanislav Kulish and Igor Kohut at the 77th and 82th minutes resolved the issue of the first-level Dnipro-1 exit to the semi-finals of the National Cup.